Refined elegance with Spacemaile custom screens. 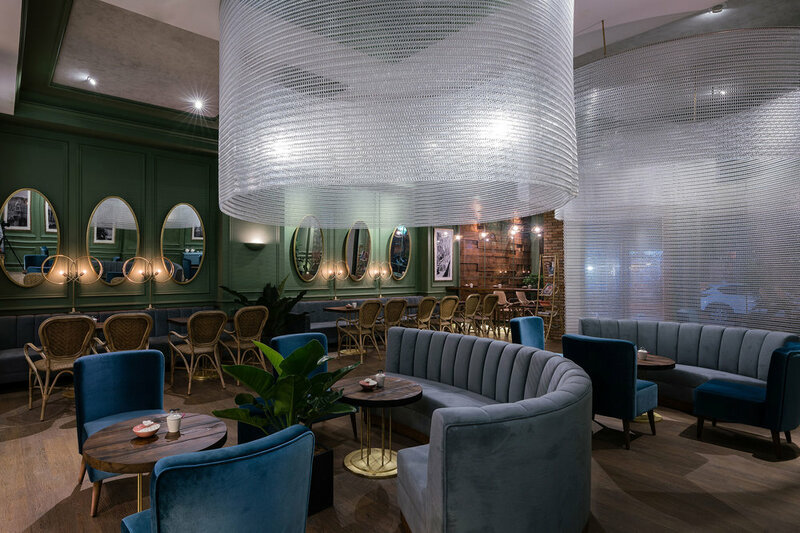 The new Colie Makchi coffee house in Ho Chi Minh City, Vietnam seamlessly blends Kaynemaile custom pieces within a contemporary, classical inspired fit-out. Kaynemaile's custom work utilises the same systems as their standard ones—making design and installation simple for your projects.